My Lil Duster is a uniquely designed handheld vacuum cleaner that can be used to clean places where the usual vacuum cleaner would possibly fail. 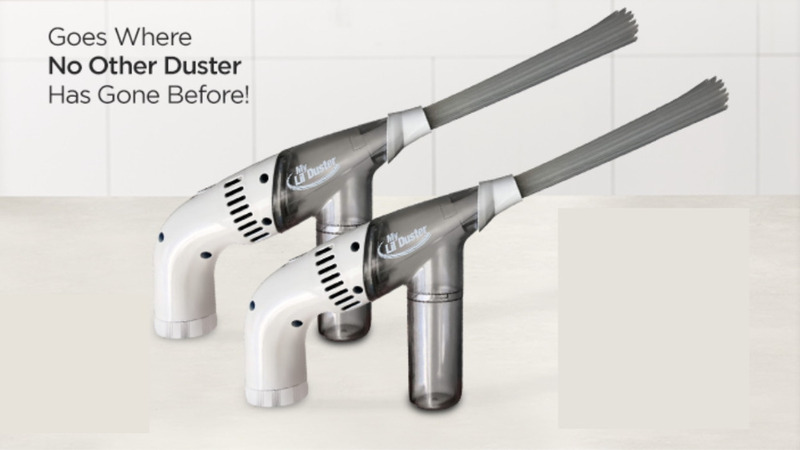 This device has a very powerful suction and comes with multi-flex tube-like elongated bristles that help dislodge dirt from surfaces while cleaning. You are able to use this device without cords trailing behind you limiting you to where you can take this cordless cleaning machine. Cleaning it is easy too. This is easily the best portable vacuum I have ever used. Great little vac. Got some power! this by far better. This is a surprisingly powerful little vacuum. I’ve been impressed by this product! It is a powerhouse! It easily cleans up after 4 dogs and does hardwood, carpet and furniture equally well.